← %Complete vs. %Work Complete in MS PROJECT 2016!–when to use what? “I need to charge an hourly rate per project. My hourly rate is $100.00 per hour. I have an employee work for me. Their rate is $20.00 per hour. I need to track both. You can do it, in a limited way. I will show you how, using MS PROJECT 2016, and I will explain why you can not get what you obviously want! 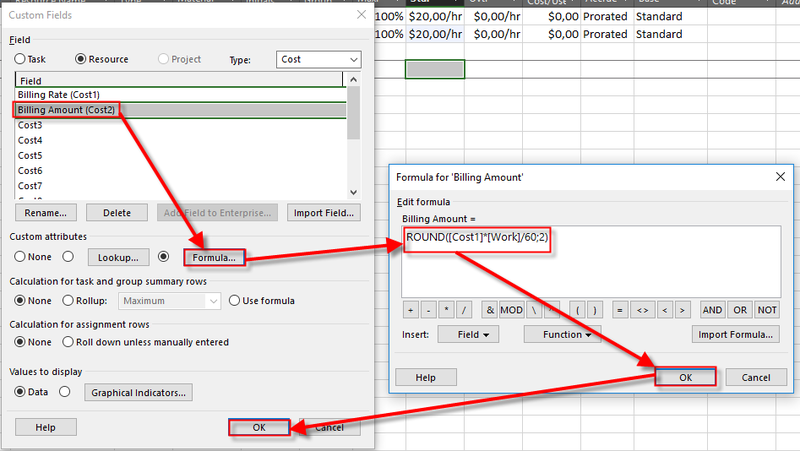 Notice, that I am using formula, where Billing amount is Billing Rate (Cost1) multiplied by work and divided by 60, and then rounded at two decimal places. The reason why am I dividing work with 60 is because work is expressed in minutes in formula, so if I want to get it in Hours I should divide it! As you can see for both John and Mary, Cost is $800 (40 hours * $20), and Billing Amount is $4000 (40 hours * $100). BUT! 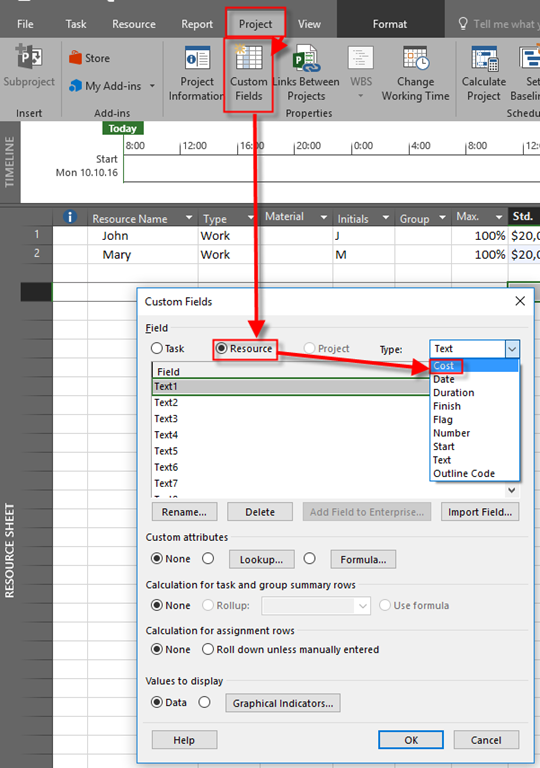 If you look at the Task Usage View you can not get this new field (Billing amount), Because it is Resource based. That means that you can not compare two rates (regular and billing), for the Tasks. And that is no such a thing like default Billing rate for each resource. 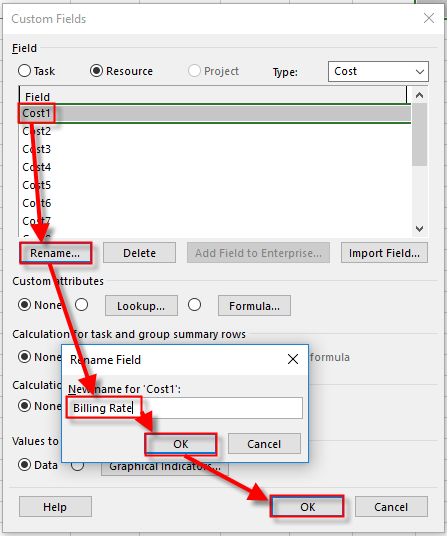 It can be annoying, but before you think in that way remember that Microsoft Project is tool with which you manage your Project, and that means that you are tracing your Costs (Planned, Actual, etc. ), not your revenue. Microsoft Project is not for billing purposes. You should use ERP (MBS NAV, SAP or other). Hope I helped with a little bit more understanding of that! This entry was posted in MICROSOFT PROJECT, Microsoft Project 2013, MS PROJECT 2016, PMI and tagged Micorosft Project 2016, Micorosft Project 2016 - Costs. Bookmark the permalink.